Ever since I was a child, I have always loved playing with makeup. While a full face of makeup is a luxury that I can’t always find the time for these days, I at least try to apply a little concealer, eyeliner and mascara every day to feel put together. But let’s be honest, even that little bit of makeup can be a pain to take off at night. I think we’ve all heard how essential it is to wash your face before bed to prevent clogged pores, blemishes and premature wrinkles, but it’s so hard to do when you’re tired. And store-bought face cleansing wipes are incredibly convenient, but the cost starts to add up if you use them every day. 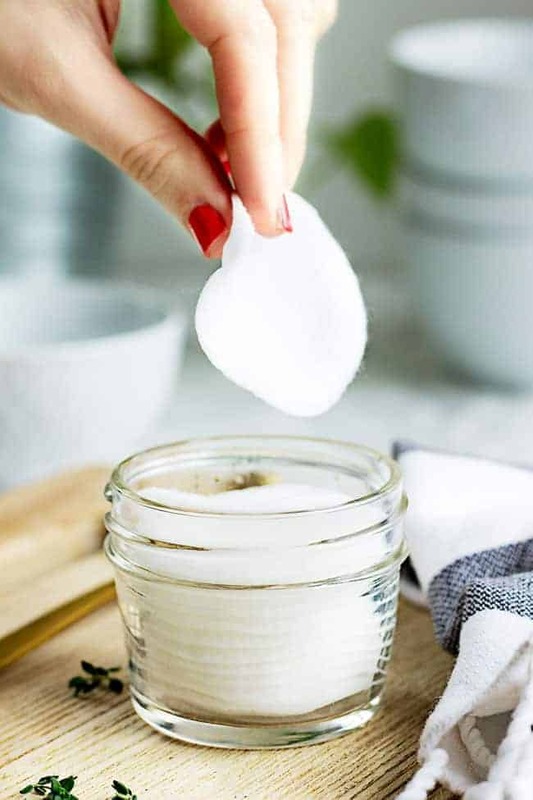 Luckily, you can make your own makeup remover pads with a few ingredients you probably already have at home. With this gentle, water-based makeup remover and a few quilted cotton pads, you can drastically speed up your nightly face-washing ritual and save money in the process. 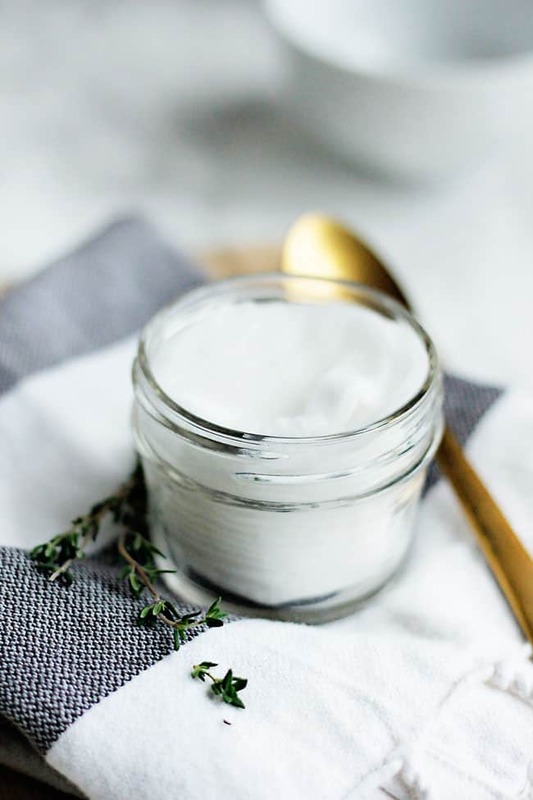 A lot of DIY eye makeup removers call for coconut oil, but I find that when the oil heats up it inevitably tends to get in my eyes, which then stings and leaves me seeing double for days. So instead, I opt for jojoba oil, which is a little less greasy and a lot gentler on the eyes. When combined with a dash of unscented baby castile soap, it does on a number on eye makeup without the irritation. Check out the video below to learn how to make your own 3-ingredient makeup removing pads. 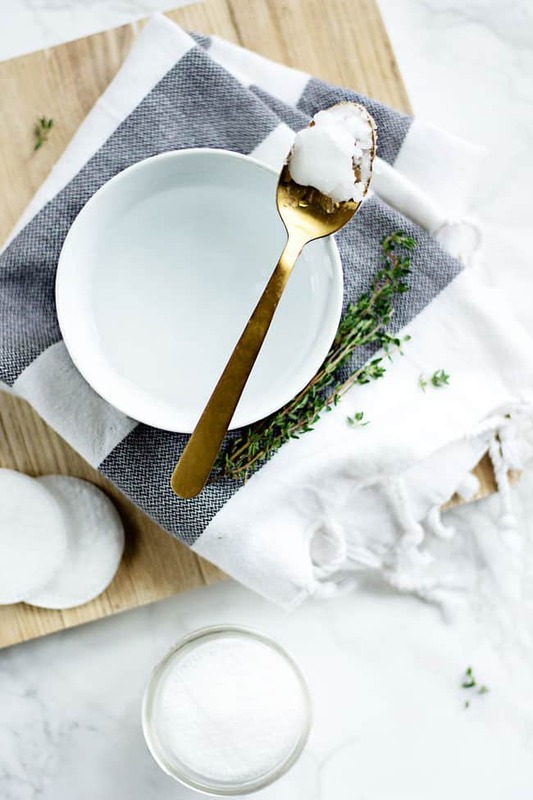 Whisk together the water, jojoba oil and castile soap in a small bowl. Place a stack of quilted cotton pads in a small jar. Pour the solution over the pads until they are all thoroughly soaked through. 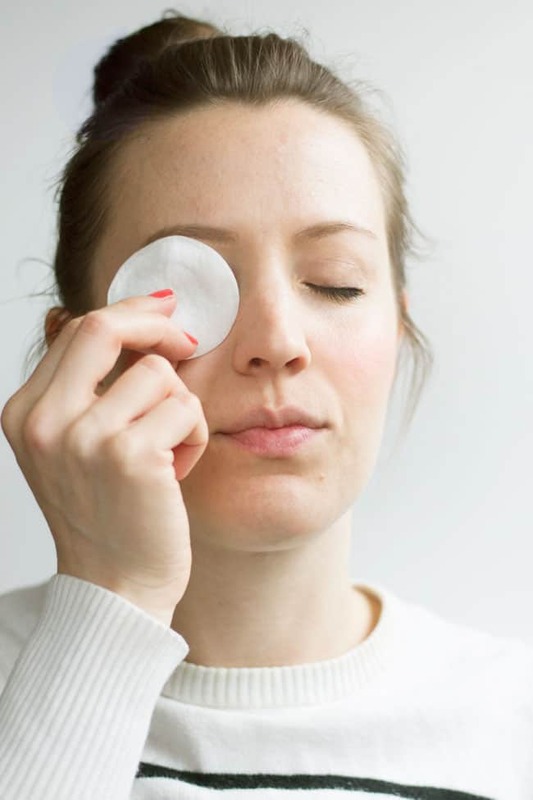 To use, remove a cotton round from the jar, close your eyes and gently sweep the pad over the entire eye area, being sure not to tug on the gentle skin surrounding the eye. To be safe, store the pads in the refrigerator when not in use. Make fresh cleansing pads weekly. What can you use instead of jojoba oil? Maybe sweet almond oil? I have learnt something new today, Never knew about using Jojoba oils, Melisa from the beauty insiders tips include olive oil. I always thought coconut oil was too heavy on my skin especially before going to bed. I will definitely try out the jojoba oil now! Using jojoba oil is a nice alternative to coconut oil!